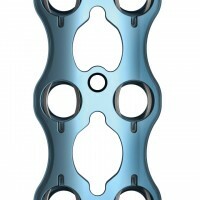 Aspect® Anterior Cervical Plate System - Products - RTI Surgical Holdings, Inc. The Aspect® System is a simple, yet versatile anterior cervical plate system designed to meet the varying clinical needs of surgeons performing anterior cervical discectomy and fusion (ACDF) procedures. The system is able to accommodate semi-constrained, constrained and hybrid constructs, all with a single set. It offers one through five-level plates, all with large graft visualization windows and a "zero-step" locking mechanism. The locking mechanism is a Nitinol spring that has shape-retaining memory, allowing the screw to pass easily without the need for an additional step to engage the locking mechanism. 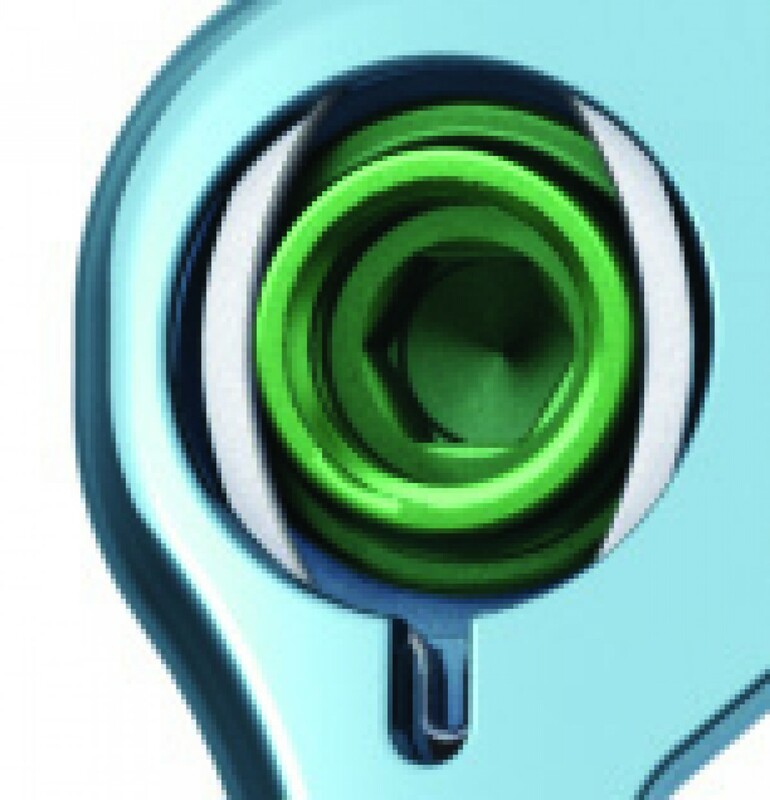 The industry-leading drive mechanism design helps ensure the screw is rigid and on-axis during insertion. This system is supplied nonsterile. For sterilization instructions, please reference the package insert. 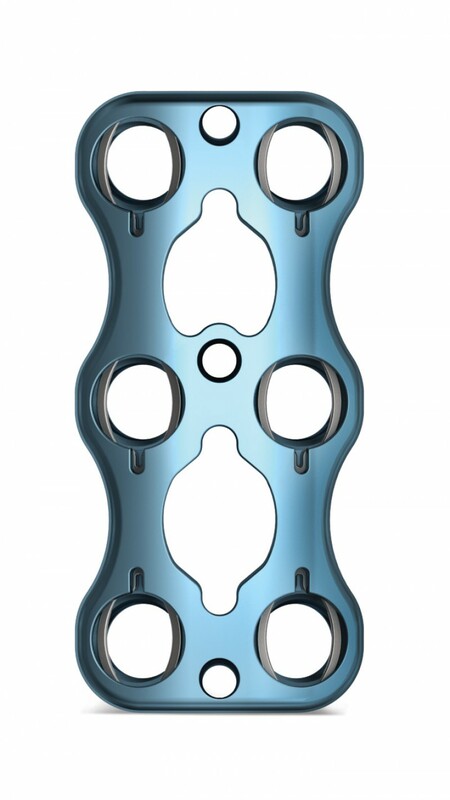 The Pioneer* Aspect Anterior Cervical Plate System is intended for anterior cervical fixation (C2-C7) for the following indications: degenerative disc disease (DDD) (defined as neck pain of discogenic origin with degeneration of the disc confirmed by history and radiographic studies), spondylolisthesis, trauma (i.e., fracture or dislocation), spinal stenosis, deformities or curvatures (i.e., scoliosis, kyphosis, and/or lordosis), tumor, pseudoarthrosis, and failed previous fusion. The Nitinol spring clip contains nickel. This must be taken into consideration when treating patients with nickel sensitivities or allergies. Components of the Aspect Anterior Cervical Plate System have not been evaluated for safety and compatibility in the Magnetic Resonance (MR) environment. Components of the Aspect Anterior Cervical Plate System have not been tested for heating or migration in the MR environment. Only experienced spine surgeons should perform the implantation of anterior cervical spinal systems with specific training in the use of this spinal system. This is a technically demanding procedure presenting a risk of serious injury to the patient. Preoperative planning and patient anatomy should be considered when selecting cervical screw diameter and length. While proper selection can help minimize risks, the size, shape, bone quality, stock, and differentiation of anatomical structures of human bones present limitations on the size, shape, and strength of implants. Metallic internal fixation devices cannot withstand activity levels equal to those placed on normal healthy bone. No implant can be expected to withstand indefinitely the unsupported stress of full weight bearing. Implants can break when subjected to the increased loading associated with delayed union or nonunion. Internal fixation appliances are load-sharing devices, which are used to obtain an alignment until normal healing occurs. 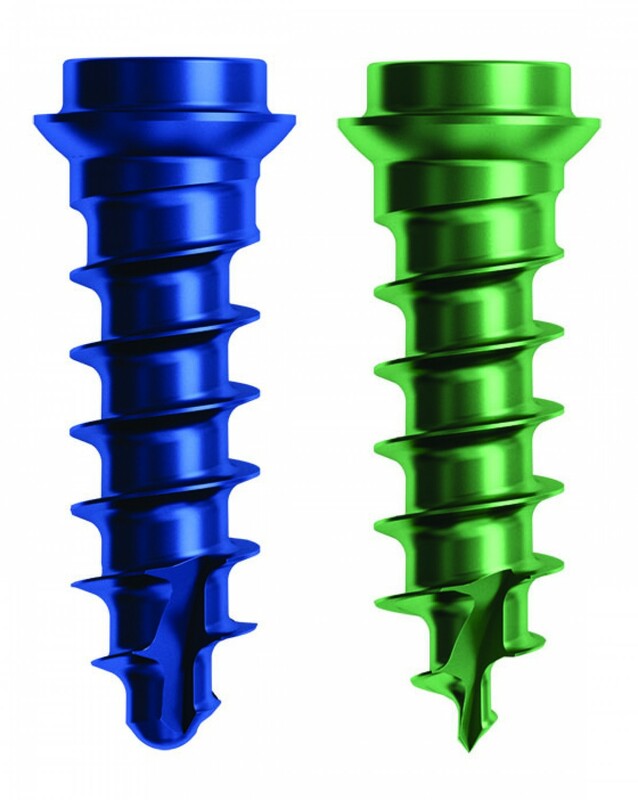 If healing is delayed or does not occur, the implant may eventually break due to metal fatigue. Based on fatigue testing results, when using the Pioneer Aspect Anterior Cervical Plate System, the physician/surgeon should consider the levels of implantation, patient weight, patient activity level, other patient conditions, etc., which may impact on the performance of this system. The degree or success of union, loads produced by weight bearing, and activity levels will, among other conditions, dictate the longevity of the implant. Notches, scratches or bending of the implant during the course of surgery may also contribute to early bending, loosening, or breakage. If reverse bending, repeated bending, notching, or scratching occurs, the implant must be discarded. Patients should be fully informed of the risks of implant bending, loosening, or breakage. Mixing metals can cause corrosion. There are many forms of corrosion damage and several of these occur on metals surgically implanted in humans. General or uniform corrosion is present on all implanted metals and alloys. 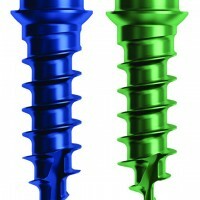 The rate of corrosive attack on metal implant devices is usually very low due to the presence of passive surface films. Dissimilar metals in contact, such as titanium and stainless steel, accelerates the corrosion process of stainless steel and more rapid attack occurs. 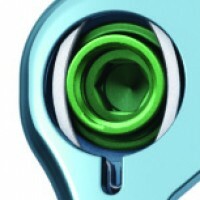 The presence of corrosion compounds released into the body system will also increase. Internal fixation devices, such as plates, rods, hooks, wires, etc. which come into contact with other metal objects, must be made from like or compatible metals. Surgical implants must never be reused. An explanted metal implant should never be reimplanted. Even though the device appears undamaged, it may have small defects and internal stress patterns which may lead to early breakage. Correct handling of the implant is extremely important. Contouring of the metal implants should only be done with proper equipment. The operating surgeon should avoid any notching, scratching or reverse bending of the devices when contouring. Alterations will produce defects in surface finish and internal stresses which may become the focal point for eventual breakage of the implant. If reverse bending, repeated bending, notching, or scratching occurs, the implant must be discarded. Bending of screws will significantly decrease fatigue life and may cause bending, loosening, or breakage; do not bend screws. *Manufactured by Pioneer Surgical Technology, Inc. 375 River Park Circle, Marquette, MI 49855 USA. Pioneer Surgical Technology, Inc. DBA RTI Surgical, Inc.